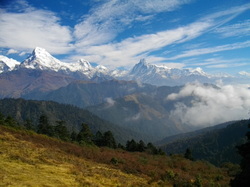 Nepal is home to eight of the ten highest mountains in the world and yet, is one of the poorest countries in the world. Landlocked and sandwiched between the megastates of India and China, 75% of the population are employed in agriculture. Most are subsistence farmers. In real terms this means the majority of the population spend all day every day working on the land just to provide enough food for themselves and their families. Many children have access to a very basic education in their village but healthcare is limited. It is often a day's walk or more to the nearest doctor. Often homes have no electricity and no running water. 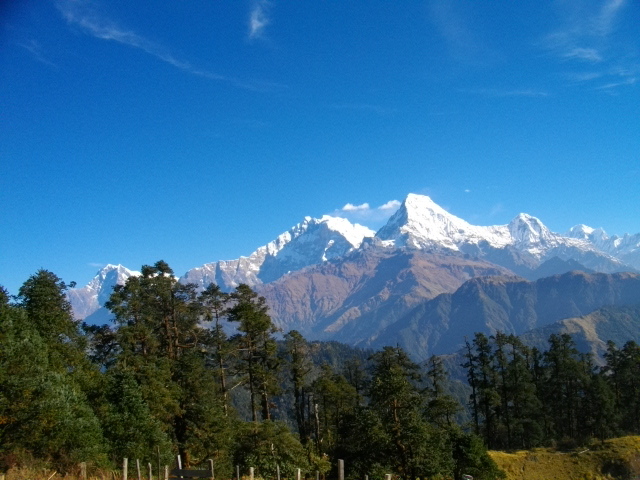 Winters are very cold in the mountains but heating is just a small wood fire. This is also used for cooking. 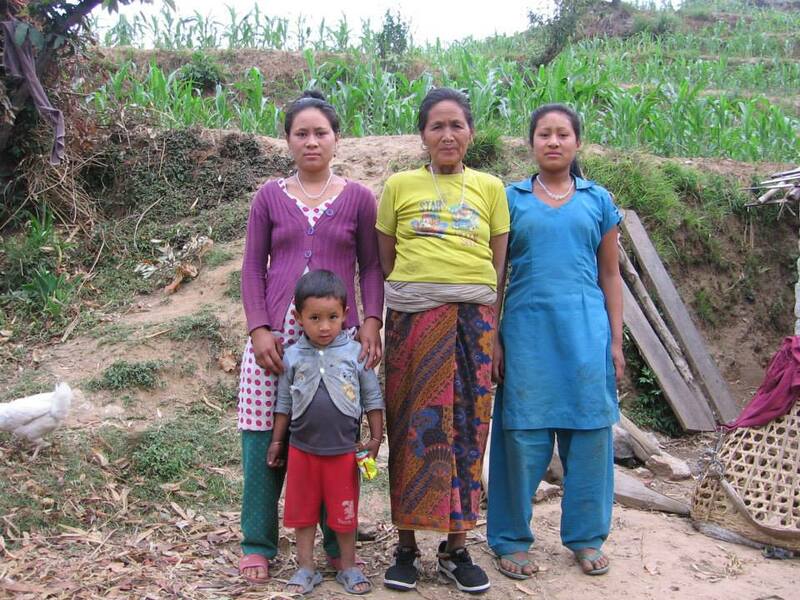 This young mother works in a tourist lodge and has benefitted from the trekking industry in her area. 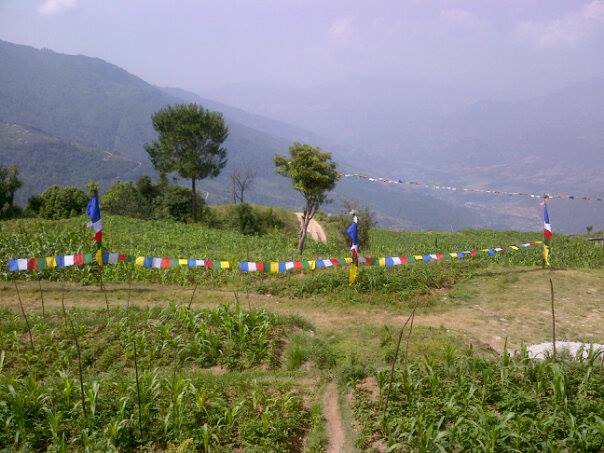 Village farm with prayer flags. 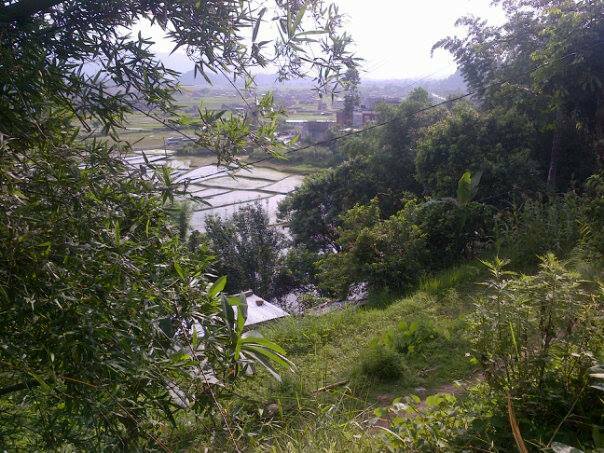 There is almost no possibility of escaping these tiny rural communities as the capital Kathmandu is already overcrowded and many people live in appalling conditions. The air is very polluted and there are very few jobs. It is normal for families to live in one room with no heating or hot water and a shared toilet. Many people have much less. 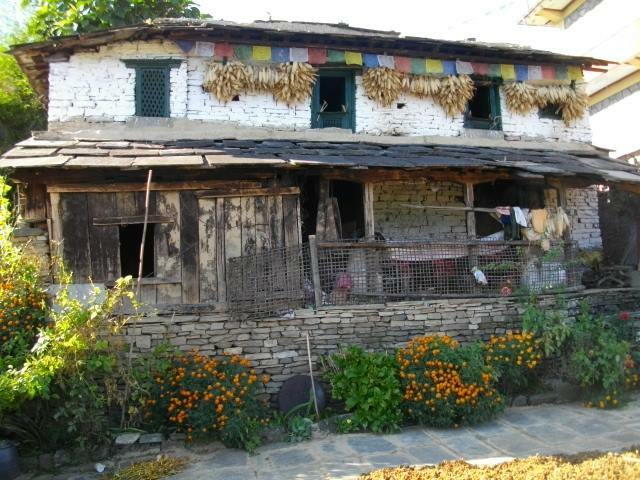 However, it is possible to improve the standard of living for the people in the mountains. This can be done through donations of livestock, supplying running water to homes, helping construct sanitation, purchasing solar panels for electric light and to charge the mobile phones that can be a lifeline in these areas. 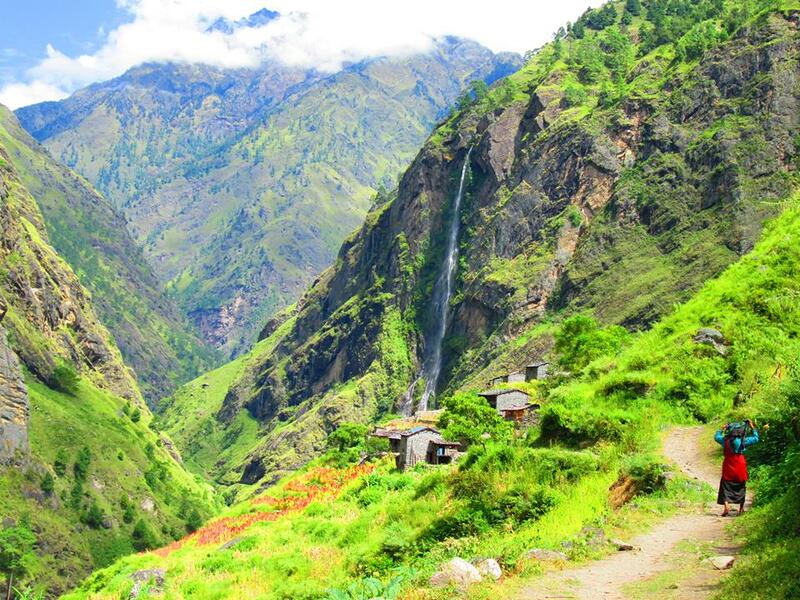 Nepal Remote Villages Trust aims to help achieve these things.